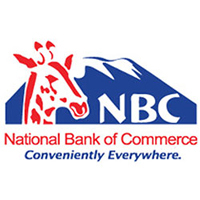 Home BANK JOBS GENERAL JOBS PROGRAM OFFICER Opportunities At NBC Bank Tanzania - Wajibika Programme. Opportunities At NBC Bank Tanzania - Wajibika Programme. NBCWajibika, is a Pan Africa initiative that helps prepare young people for the critical transition from education into the world of work. It will empower young people with the training, support and learning they need to enhance their employment and self-employment prospects. Its primary aim is to improve the employment prospects of young people through education resources, online content, workshops and work experience, better equipping them to find a work opportunity or start up their own business. NBCWajibika is the starting point and the bridge to a young person’s future. The NBCWajibika initiative provides young people with a digital and face-to-face learning curriculum to help them develop their skills across four core areas - work, people, money and entrepreneurial skills. There are two NBCWajibika learning pathways young people can follow – one designed to help a young person prepare for employment and a second learner pathway focused on starting a business. After a young person has completed the NBCWajibika curriculum, they will also have the opportunity to apply for workplace exposure at NBCWajibika or with one of our partners. Or if they are a budding entrepreneur, they can be connected to our Enterprise Development centres that help enable people to start their own business. Is the NBCWajibika skills curriculum accredited? We recognise that accredited training is important for young people to demonstrate the value and credibility of the NBCWajibika training they have received. The NBCWajibika curriculum is currently in the process of being accredited through the South African Qualifications Authority (SAQA). The SAQA accreditation is recognised in all our 10 Africa markets. Who is NBCWajibika aimed at? NBCWajibika primary focus is to support young people aged 16-35 who have the aptitude, attitude and ambition to achieve beyond the opportunities they have been given. The initiative aims to provide them with pathways that better develop their employability or self-employment prospects. Base Tier 3: Post High School Youth who have completed secondary / high school. However, any person of any age can access the online learning curriculum and download materials to help them develop their skills. How long will it take for a young person to complete the NBCWajibika curriculum? As the curriculum is blended learning and mainly self-taught, the pace of completion is determined by the learner. There is however be an ‘estimated time’ noted in each learning topic indicating how long each should take to complete. This will help learners manage their time effectively as they work through the curriculum. The online platform allows learners to save their sessions as they move through the curriculum, and tracks their rate of completion. Is there a role for educators and trainers in NBCWajibika ? Yes, definitely. Many organisations will play an important role in powering NBCWajibika across Africa by using the learning curriculum to help upskill their young students or beneficiaries. For this reason, we developed Facilitator Guides for each skills module across work, people, money and entrepreneurial skills. These guides provide training on how a teacher, community leader or even a parent could facilitate a NBCWajibika skills development session for young people. What happens after a young person completes the curriculum? For each module completed a young person will receive a certificate of participation. Upon completion of a learning pathway, a young person will have the opportunity to connect with a NBCWajibika mentor, as well as apply for workplace exposure. How does a young person apply for workplace exposure? Once a young person has completed their selected learning pathway they will be able to view and apply for available workplace exposure opportunities listed on the NBCWajibika website. This involves the young person undertaking one day’s workplace exposure either at Barclays or with one of our partners, such as corporate clients, small businesses or even an NGO. To ensure we know the learner’s requirements, the NBCWajibika website will ask the young person to tell us their area of study, career interests, and location. How is NBCWajibika different from other initiatives? It recognises the role of others in helping Barclays spread the NBCWajibika initiative across Africa.